Paris is 2,5 hours far from London by Eurostar. However, since the Eurostar does not allow pets onboard, if you wish to travel with your dog you have to opt for a 5,5 to 7 hours long journey and give up the comfort of a superfast direct train. 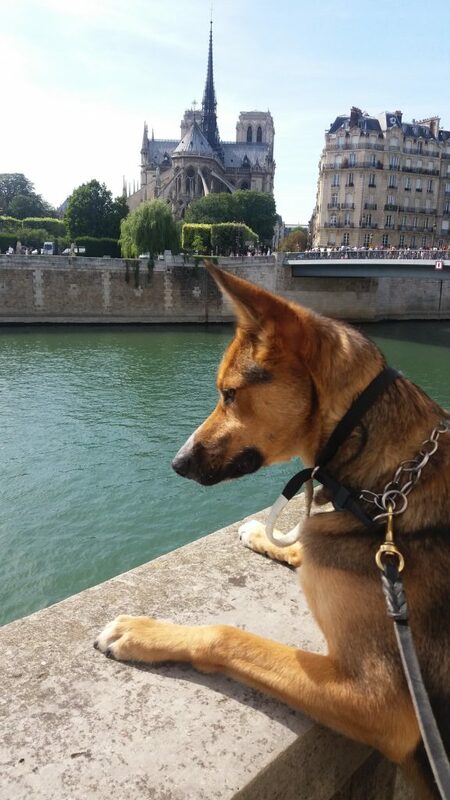 Once in Paris, what about a dog day there? For my afternoon in the Ville Lumière during my London to Venice dog train trip I had put together a brief Paris dog guide, which I want to share with you. I like to call it “Parichien” or “Paris-chien” Guide, in a perfect The Londog style (in French “chien” means dog, so Parichien is The Londog’s homologous!). This Parichien guide collects in one place the rules about dogs on public transports, parks (with a map! ), some useful numbers and some useful extra information. 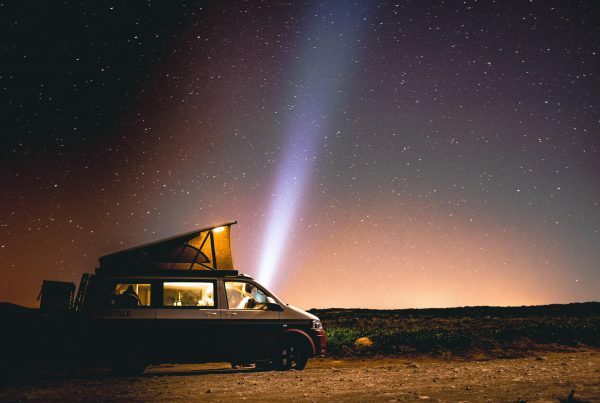 At the bottom of the post you will also find a ‘getting to Paris’ section. My first question, when I was planning our day in Paris, was “what about dog-friendly parks?”. I found a list detailing dog-friendly parks and restrictions on Paris municipality’s website, in French. 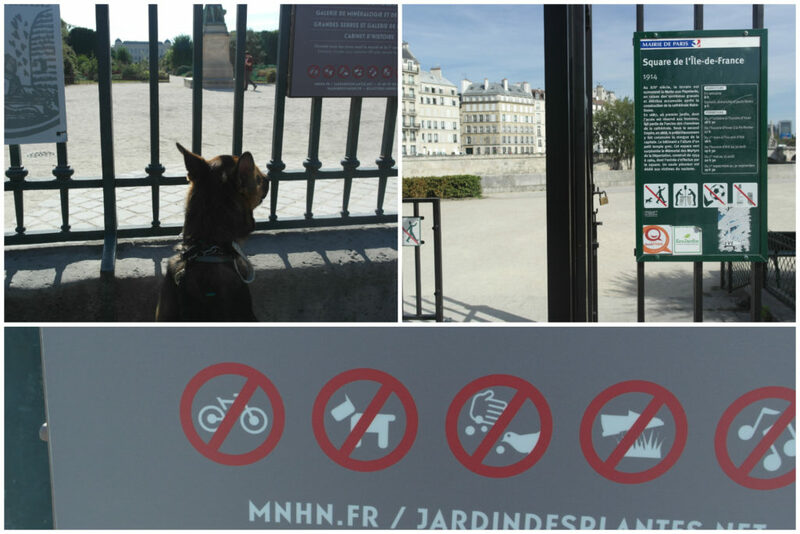 To my surprise, I discovered that Paris has very strict policies in place regarding dogs in green spaces. Apparently, not only they are not allowed off-leash (apart from a single dog area I will tell you about), but they are totally interdicted from many parks or allowed with relevant limitations. I decided to translate Paris municipality’s list and to add all the entries to a map, with clickable markers showing the dog rules in place (embedded below). Very disappointingly the list provided by Paris municipality carries some mistaken names and many parks/gardens mentioned are unknown to Google maps. After some additional online searches, I was able to locate most of them (for example, Jardin Blanc is in fact part of Parc André-Citroën, while for others I found an address through other websites, mainly equipement.paris.fr/ and parisrues.com), and added the marker accordingly. However in some cases the exact location might not be accurate, so please do double check. Each marker is clickable and carries more information regarding dog rules in that particular space. Green markers are for parks/green spaces where dogs are allowed without restrictions, light green for the areas where minor restrictions are in place, and yellow markers show where dogs are allowed with relevant restrictions (e.g. allowed only on pathways, not allowed on lawns, etc.).
! Map Disclaimer ! Please read the above section before using the map. The data are based on the Paris municipality’s list, but the location of the markers could be inaccurate due to the issues highlighted above, so please do double check. In addition, please note that Paris municipality’s list may not be kept up-to-date, since I found some webpages indicating that Parc Jacques Antoine (which in the Document appears as having a “dogs allowed on the pathways” policy) actually hosts the first and only ‘Espace canin‘, a dog area where pooches can be let running off-leash (see, in French, and with pictures this link) . I did not manage to go and visit it personally during my few hours in Paris, so if you have any information in that regard, please do let me know. UPDATE (7 March 2019): an list of parks accessible to dogs updated to November 2018 is available at this link. Reports were that since 1 January 2019 Paris has open more parks to dogs (see this article on The Guardian). On Paris official website, it is explained that “Access to leashed pets is allowed in gardens with no children’s play areas and some parks marked as such”, however they can walk in the alleys but are prohibited to walk on the lawns and in the vegetated massifs. We will be looking into this and update the post accordingly. If you want to know more about dogs in parks in Paris, you can read a very interesting Report from 2012, drafted by the Association Chiens en Ville, at this link (in French only). 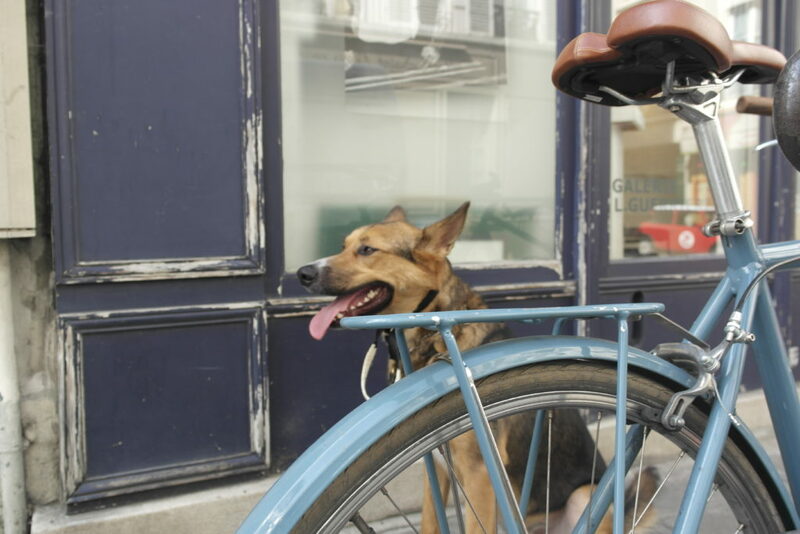 The Report highlights the ratio of green areas accessible and interdicted to dogs in the various arrondissements, stresses problems of the at-the-time/current situation and carries proposals for improving life with dogs in Paris. You can also find a project for an enclosed dog park here. As I told in my earlier blogpost, in Paris dogs can travel on public transports under the conditions detailed in RATP’s Mode d’emploi (January 2016 edition) (only available in French) and in its FAQs (see last point of the FAQs). large dogs are only allowed on the RER and metro (so not on buses nor tramways) given that they are kept on a leash and muzzled. You need to purchase a reduced-fare ticket for your large dog. You can find a list of vets in the French Yellow Pages for Paris here. If you lose your dog in Paris you can contact the SPA (Societe Protectrice des Animaux). The SPA has a hotline for lost pets (called ‘Allo Animal perdu’), which phone No. is 0 800 300 400. You can also contact your pet id register and EuroPetNet, which is a network of national and local associations and companies which keep pet id records across Europe and share information in order to reunite lost pets with their owners. 2.25pm Paris. Ou se trouve la Gare du Nord? The French Arrêté of 2 April 2002 requires dog owners/walkers to clean their dogs’ mess. 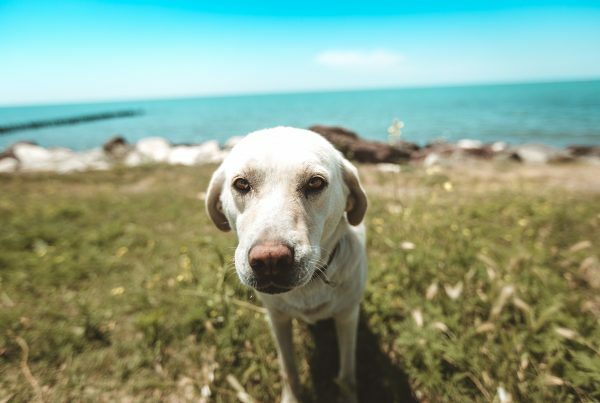 Under Article R632-1 of the French Penal Code, failing to clean after a dog is a criminal offence which can lead to a fine (this does not apply to blind people). You can view the rules on dogs, in French, here. In summer it is always good to keep our pooches hydrated. So it can be useful to know where to find a drinking fountain on your way around the city. I found a map of Paris’ drinking fountains drafted by an Italian not-for-profit association (which aim is to develops maps of the kind), however please note that I could not check the data therein and I am unsure about its accuracy. In any case, you can view it on fontanelle.org at this link. 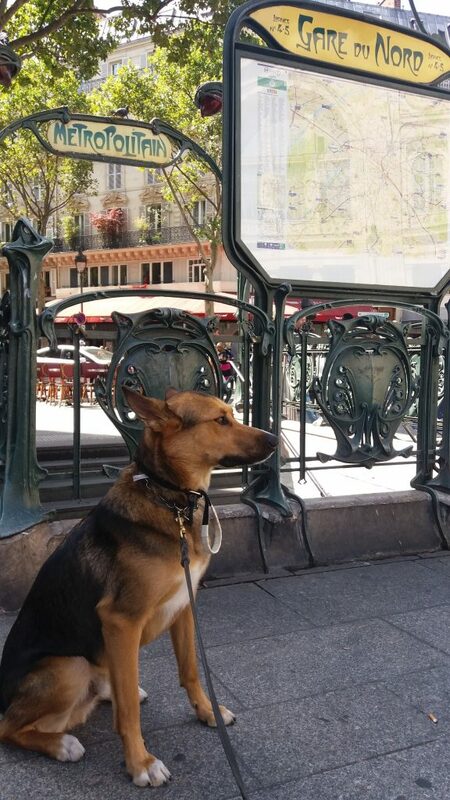 Remember that, for travelling with your dog to Paris and back, your dog must be microchipped and needs to have a European pet passport, as well as up to date rabies vaccination (done at least 21 days before travelling). In addition, (only) to get back to the UK, a tapeworm treatment is required (this must be certified by a vet and given to the dog between 24 and 120 hours prior to border crossing). So, if you plan to stay in Paris less than 5 days (including the trip), you can do it at your vet’s in the UK. For further information on dog travel rules see my previous blog post A dog trip to Europe: travel rules and approved routes. For a complete list of options and tips regarding how to travel by train between the UK and mainland Europe (including Paris) with your dog, the best webpage I can refer to is the Man in Seat 61 page on dog train travelling. What I did to get to Paris from London by train, was taking a train to Folkestone West, then the Folkestone Pet Taxi to Calais-Fréthun station via Eurotunnel and finally a direct TGV train to Paris Gare du Nord. You can read about my own London to Paris train journey in my previous blog post. 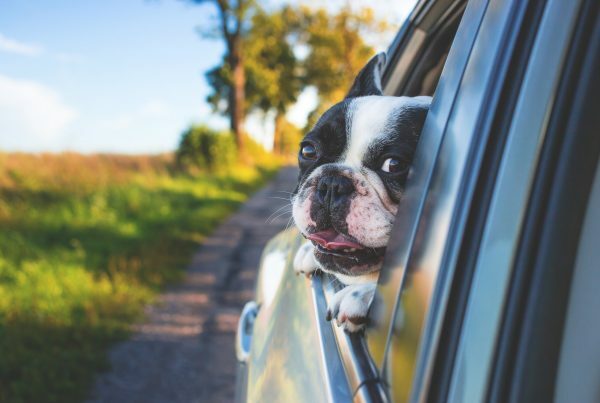 If you prefer to travel by car, you can choose between getting a ferry via one of the approved routes detailed in the Pet travel: routes by sea and rail document, or the Eurotunnel Le Shuttle from Folkestone to Calais (which is itself an approved route). The translation of Paris municipality’s list was done by my mother, who I would like to thank for her help. ©2016 The Londog. All rights reserved.